Russia will be aiming to win 15 gold medals at the Sochi 2014 Winter Games, says the country's Olympic Committee President Aleksandr Zhukov, which should be enough to finish top of the medal table. The Russian Olympians are traditionally strong in winter sports and will try to make amends for their Vancouver 2010 ‘blunder’, where they managed to earn just three gold medals and finished at a historically low 11th place in the medal table. "It is possible to perform well and take first place in the team table at the Sochi Olympics," the R-Sport agency quotes Zhukov as saying. "At the Games about 15 golds will be needed, that should be enough." 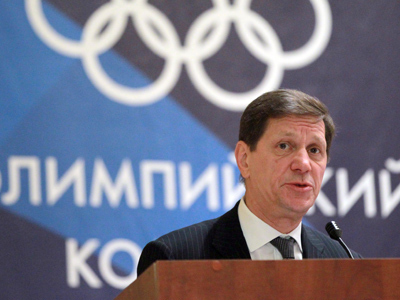 According to Zhukov, if positive dynamics in winter sports results continue then Russia could count on “40 to 45 medals in total and 14 to 15 gold”. The final target will be set in the spring after the winter season concludes. Three years ago host nation Canada topped the medal table with 14 gold medals leaving main rivals Germany and the United States far behind.